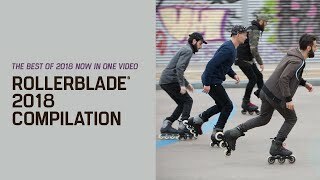 Macroblade 80 W is ideal for beginners looking to get an enhanced entry level skate. The shell is designed to provide great lateral support while the liner utilizes engineered mesh for a added breathability and sock like comfort and has all the cushioning one could need to make learning how to skate much more pleasant. The aluminum frame adds more power transfer and durability. The closure system is easy to use and secures the foot to maximize fit and comfort. The wheel/bearing set up is ideal for skaters to have the right amount of speed and control without going too fast. Great skate with exceptional value. 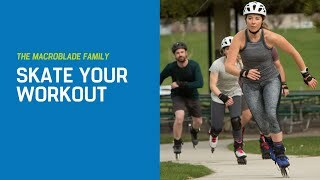 - IMPROVE YOUR FITNESS with the Macroblade 80 W which is great for casual inline skating and training. Great overall support and comfort in a entry level "upgrade" skate.